Learn more about Service Wave Analytics — the first app to bring the power of Wave Analytics to Service Cloud. Find out how mobile analytics can help your entire service team turn insight into customer delight. 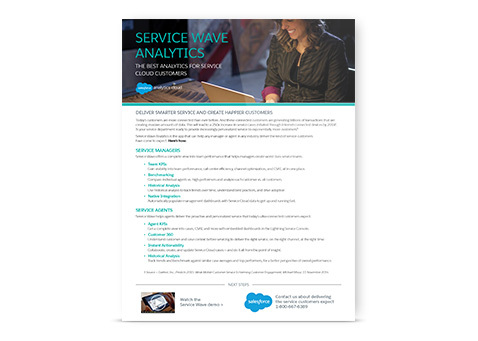 Learn more about Service Wave Analytics - the first app to bring the power of Wave Analytics to Service Cloud. Find out how truly mobile analytics can help your entire service team turn insight into customer delight.